England will host the Czech Republic at Wembley in the opening round of the Euro 2020 qualifiers. The two teams have been drawn in Group A, along with Montenegro, Bulgaria and Kosovo. 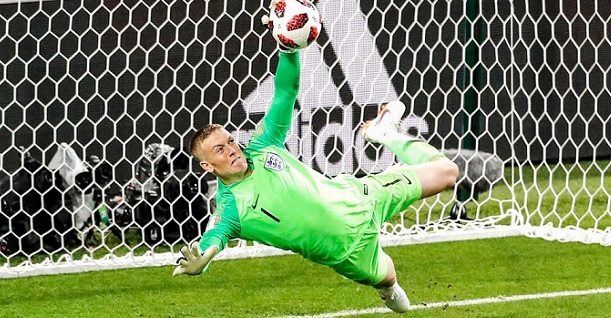 Even if England didn`t have the desired success in final tournaments until last year`s semifinal in the World Cup, the Three Lions have been nothing short of brilliant in their previous qualifying campaigns. England is undefeated in the previous 4 (four !!!) qualifying campaigns for World Cup / Euro, and has 18 wins and 2 draws in the last two! England also had a good time in last year`s Nations League, finishing first in a group with Spain and Croatia. As such, Southgate`s men will definitely be confident of qualifying in style from this accessible Group A.
Czech Republic failed to qualify to the 2018 World Cup, finishing 3rd in a group with Germany and Northern Ireland, so that was rather disappointing. The Czech did have a bit more success in the recent Nations League, finishing second (with 6 points in 4 matches) in an evenly matched group with Ukraine and Slovakia. Bet on England vs Czech Republic and claim your 100% (120 Eur) freebet at LSbet! England has a lot of squad problems coming into this match, with many players dropping out after suffering injuries. England will miss Rashford, Alexander-Arnold, Delph, Loftus-Cheek, Shaw and Stones, while Henderson and Dier are doubful. Czech Republic will miss Vaclik, while Dockal is doubtful, but should be able to start. As previously mentioned, England has been devastating in qualifying campaigns recently, with the last defeat dating back since 2009! At home they have been even more impressive, the last loss being way back in 2007 (against Croatia, when they failed to qualify for Euro 2008). The gameplan for England in all these recent qualifying campaigns has been the same (especially at home), keep possession, play with patience and wait for opportunities – while not giving the opponent any chance to score. England conceded a grand total of 6 goals in 20 matches in the last two qualifying campaigns, and only 2 in 10 matches! Surely England will play the same way here, and they might even be extra cautious with all the injuries, and given that Czech Republic is a competent opponent. The Czech looked decent last year in the Nations League, where they finished with a 4-4 goal difference in 4 games. They are a well organized team, and their last three matches all finished with the same score: 1-0. Given England`s superior quality and their magnificent defensive record at home in qualifying, you would expect them to keep a clean sheet here. But they might have a tough time breaking down a well organized and defensively competent Czech team, particularly taking all the injuries into account. My tip here will be under 2,75 goals to be scored, a very nice bet which gives us extra security. I wouldd bet under 2,5 goals as well if you can`t find the 2.75 line, but with no more than 6 units. 2-0 is England`s favorite score at home, so I am expecting either that, or 1-0. Prediction: England – Czech Republic 1-0.